Today it was time to lead my dear old friend Maude across the paddock, un-clip the lead one final time and allow her free and unhindered passage over the rainbow bridge. Her passing was peaceful and dignified - She gave me so much over the years that the very least I could give back was this. 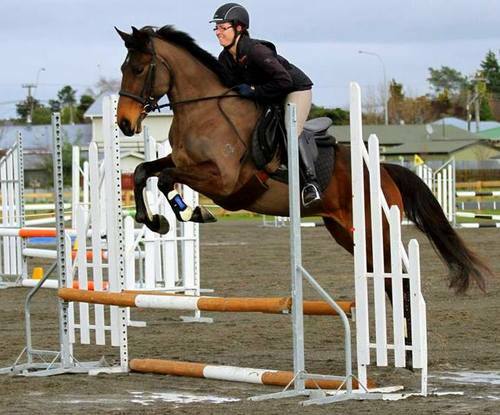 This year Talisman Farm Sport Horses are offering a fantastic prize to the highest placed mare competing in the CNC95 through to the CNC* plus classes at the Wairarapa Spring Horse Trial (one prize only which goes to highest placed mare over all these classes). The service will be limited to use in the current breeding season or the 2014/15 season and is for the stud fee only (handling/collection/vet/grazing costs extra*). In order to qualify for the prize the successful mare must finish in the top 1/3 of the field. If there is a situation where more than one mare attains the same high placing, the winning mare will be the mare with the lowest penalty points score. 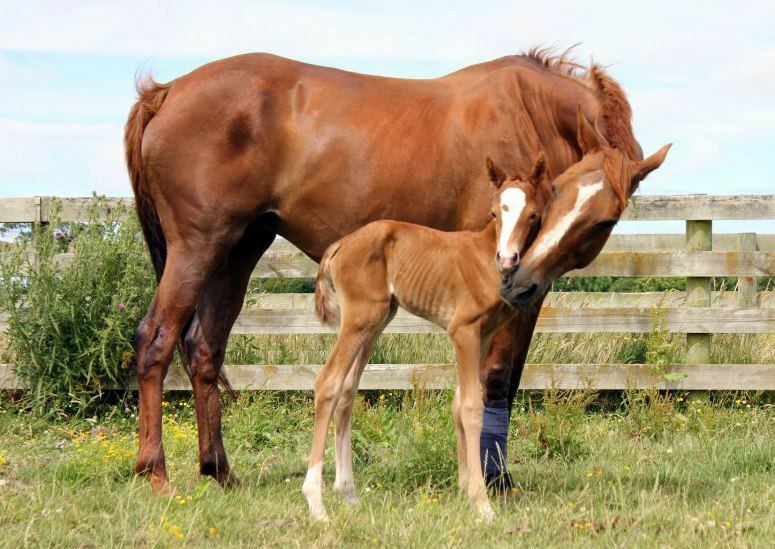 Honey, the stunning TB mare who won the free breeding competition last season has produced a lovely leggy chestnut filly for her happy owner Kendra. Filly and mum both doing well. A really top home will be sought for this filly and whilst we never turn away fabulous non-competitive homes, we will ideally be looking for someone who intends to campaign her under saddle. If I cannot find the right home, I will retain her and she will be professionally produced and campaigned under our stud banner but I think my husband might divorce me if I tell him this so someone better come along and buy her, fast!!! Maddy and Brennan's filly TF Summer Breeze has been sold to a fantastic local home and has a new family who are desperately excited and happy (and a little impatient) to welcome her in to their family. Mads and Summer are grazing the races which makes it really hard for me to get photos as Summer is always far too close/in my face. I am going to work on that over the holiday period too as it is about time I got some updated photos of her out. But, for now, it's Tempi, in all her absolute gorgeousness, aged 16 days. Last Friday, in the early hours, Rei-Huia Bernadette (Hifalutin x Shannon/Laughtons Legend) foaled a beautiful leggy chestnut filly with four stockings and a big splat on her head. The foal was a total surprise to me when I went out on Friday morning to muck and feed out as Bernie had given NO indication that she was anywhere near ready to foal and the foal was a couple of weeks earlier than expected. Fortunately mum and baby were both healthy and strong and my foaling season was done! Just like that! This filly is a very close relation to my gorgeous Ailbhe, being by Brennan and out of a Laughtons Legend Granddaughter. I think this makes them something like 2/3 siblings but don't quote me on that! She's a tall/leggy filly and very much a feminine version of Ailbhe. In other words, stunning! How lucky am I?! She's supposed to be for sale but I am so sorely tempted to keep her. Argh!! On Sunday Brennan had his first starts in affiliated competition at Level 2. He did not perform as well as we know he is capable of and the heat seemed to take a lot of the wind from his sails. In other words, he was pretty flat! Poor Karen was as red as a beet after the first test, I think she felt like she had flapped her way through it like a kid on a Thelwell pony. I assured her that it did not look nearly as bad as it felt for her and the judges must have agreed as they still gained two perfectly respectable scores and placings [2.2 - 61.613% (4th) & 2.4 - 62.308% (3rd)] - The only pony in the competition, again. We even won money, more than half our entry fees back! Woot! What a good pony! What more can I say really. A year out of the competition scene and only a handful of outings at Training and Level 1 prior to this and he went out yesterday and just ROCKED Level 2! First test was a bit flat - it was hot and he was a little unenthusiastic BUT he still pulled off a very polite and obedient test which scored him 64.853%. VERY happy with that! I gave him a feed of Fiberedge between tests and I think that may have helped give him a little more sparkle for the second test. Something certainly did because he was seeing ghosts behind the thistles in the neighbouring paddock, lol! He was VERY looky in the all weather arena (the first test was done on grass) but fortunately the horses are allowed a minute to work in inside the arena and Karen took this time riding him into the spooky corners and down the spooky long side so by the time his minute warm up was over, he was ready to rock 'n roll and rock 'n roll he did, right into a score of 66.25% and FIRST place! Woo hoo!! Brennan really surpassed our expectations this weekend - not that we don't know he is capable but, to be fair to him, he's been off the scene for quite a long time (a year) and has not exactly had a lot of mileage or preparation but the quality of the preparation has been 5 star (thank you Karen!) and yesterday that really showed! I have uploaded an album of photos - I took so many, it was hard to choose my favourites so I just chose a random selection. Yesterday I went to my first horse show in what must be years, as a rider! I don't think I have done any ring classes since before Amy was born 9 years ago. How did that happen? So, I took Meg! 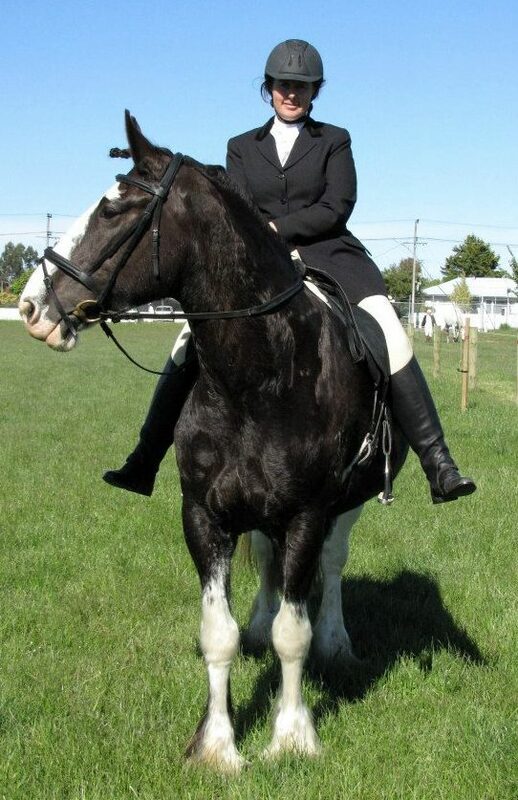 The Show was the Young Farmer's Show in Masterton. Not particularly high brow but well attended and popular. We entered six classes (Walking Style & Pace, Trotting Style & Pace, Novice no wins, Paces & Manners, Hunter Suitable for a Lady & the Unit of Horse & Rider). I figured it would be a good thing for Meg having to cope with horses in front and behind her, line ups and the overall experience, especially if we do, one day, want to have a crack at that Horse of the Year Title. I had NO idea how she might behave as she can be such a sensitive girl and here have been a couple of occasions at the dressage where she has felt almost explosive. Turns out I need not have worried at all as she was the consummate professional and her manners were impeccable all morning. She made lots of new horsey and human friends too and she stood between classes and watched EVERYTHING so intently, it was quite hilarious to see. I went to the show for the experience and did not expect to be even remotely competitive. 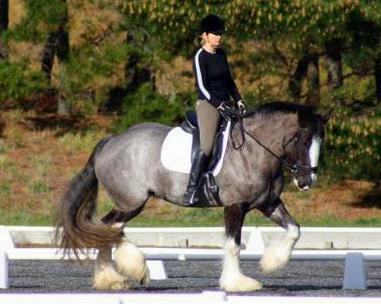 because, lets face it, Meg is a draft horse, not a show pony! So, when we were pulled in for the trotting class, I was thrilled! I expected that to be the highlight of the morning too. We were not placed in the class (ribbons in all classes to 3rd) although there were 14 odd in the class and 6 pulled in so a top 6 placing for my clompety was pretty awesome I thought. 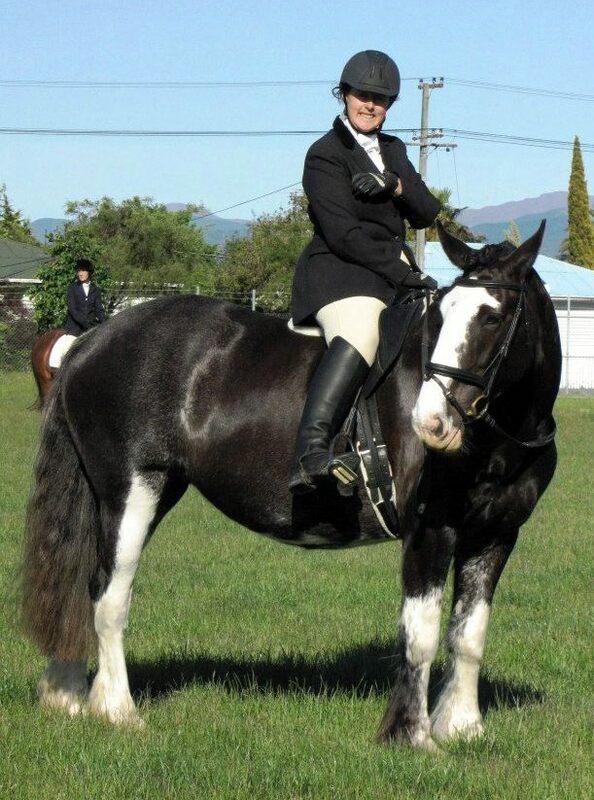 You can then imagine my surprise when when we actually placed 3rd in the Hunter class (again, a pretty big class of 14+). I went out to do my in-hand gallop with the aim of showing everyone that Clydesdales can really cover some ground when they want to and Meg and I grew wings and we flew around that paddock! I think we may even have returned to a round of applause, hehe! The judge complimented us on the gallop saying it was just what she wanted to see on the hunt field and how impressed she was with how calmly and easily Meg pulled up to a halt at the end. Not sure who had more fun out there - me or Meg! I so wish Nick had been there to take photos of that moment as I think we both had grins a mile wide on our faces. The Paced & Mannered class was tough! The judge started pulling riders and horses in when we had changed rein and as the class went on, more and more were pulled in and I was beginning to wonder why we were still out there. It turned out that it was by process of elimination. Eeek! My darling girl was so good and tried SO hard that she even nailed the walk to canter, something we have not even tried at home! I don't think it was all that pretty but she did it and we were both rather tired by that stage too. So you could have knocked me down with a feather when we came away with another 3rd place ribbon! I am just SO proud of her. BIG day today. Crossiebeg Brennan had his Studbook Inspection. Nerve wracking on two accounts, the first being the sheer fact that it WAS his Studbook inspection and the second being the weather! I drove through some of the vilest weather I have EVER experienced to get him there. We went slowly and carefully and came through it all unscathed and Brennan never even looked up from his hay net whilst I, on the other hand, white knuckled the steering wheel the entire way there. Thankfully the trip back was better! Anyway, enough talk of the weather! 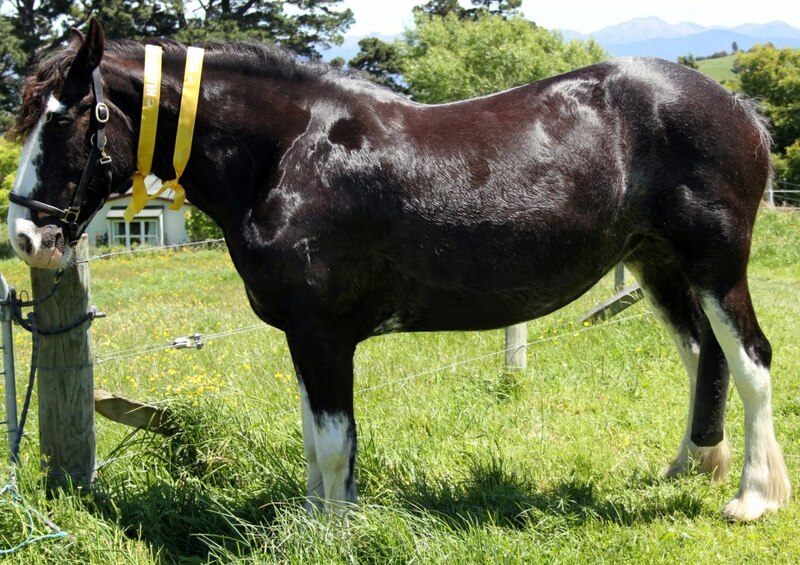 I am very proud to announce that Brennan is now a Class 1 Studbook Stallion with the Connemara Pony Breeders Society of NZ (this also makes him Internationally recognised). Woot! His scores were as follows (I have converted them to marks out of 10 rather than the marks out of 70, 20, 25 and 200). And what's even better is that all the inspectors agreed that he still has some maturing to do which means he is just going to get better! Very proud day for us today! 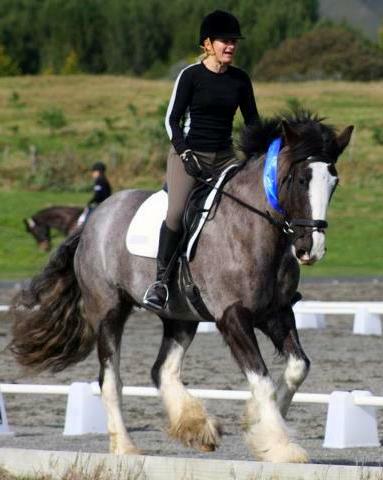 Congratulations must also go to his breeder, Fiona Comer for breeding such a magnificent wee beastie! Brennan is now back in his paddock tucking into a special feed and a large pile of carrots. What a good boy! 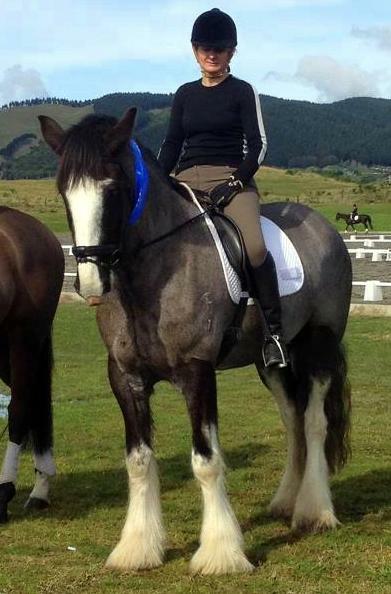 Most recent and rather exciting was the news this weekend that TF MacKenzie (Kintyre Lodge Robbie X Kennybrook Maude), Meg's full sister (a year younger) took out the Reserve Champion Title in Level 1 at the hotly contested Horowhenua Winter Dressage Series. I believe there were over 40 competitors at this level so this is no mean feat and I am VERY proud of them both and am looking forward to being able to share many more exciting result updates like this. I was also sent a photo today of TF Rory O'Moore's rather happy looking owner having her very first ride on her lovely boy. Nicky had an unfortunate fall off her other horse and badly broke herself so was unable to ride Rorror when he came back from being started and has just returned from a trip overseas - I think this is just about the first thing she did when she got back! Go Nicky and go Rory! Rory is by Coalmans Touch and out of Hooty (Wynyard Nightowl) so is Waterford Ciara's full brother and half brother to TF Winiata and TF Ailbhe mac Brennan. Speaking of Ailbhe. He's back with us at Talisman Farm! Albs has an issue with a foreleg that has come about because of his size and the speed at which he has grown (we managed it carefully with trimming and confinement in the first weeks of his life and it was resolving nicely but later turnout, the phenomenal pasture growing season and Hooty's over abundance of rich milk just exacerbated the issue - this has turned into a steep learning curve for us) and the buyer decided she no longer wanted him because of this so, I bought him back. 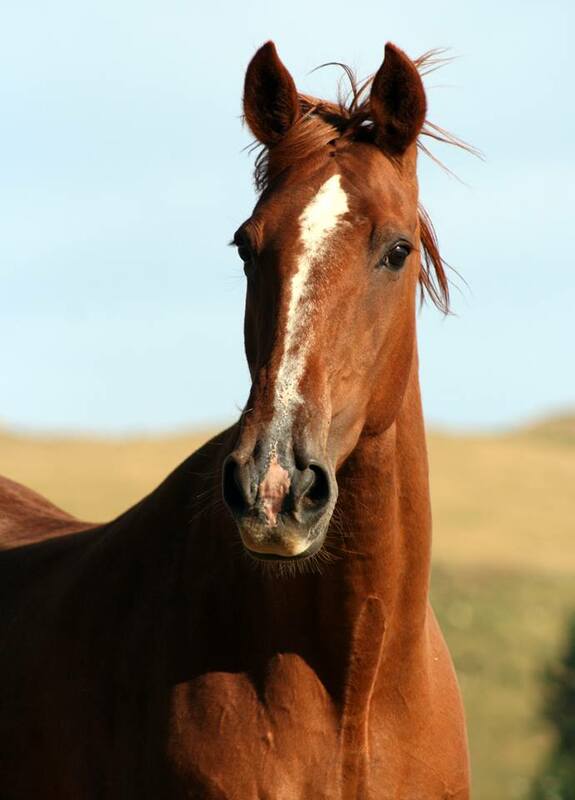 As a breeder I take full responsibility for ensuring that all my horses end up in homes with buyers who are happy with them - it is of the utmost importance to me that the buyer and the horse are well matched and both are happy so, if there is a problem then I won't hesitate to do what I can to resolve it. This is the first time any of the many horses I have bred has come home and I can say I have learned a lot from the experience and am already looking at ways to better manage the sales process, especially when distance is a factor. Everything, as they say, happens for a reason. As for dear Ailbhe, I am ecstatic to have him home and my wonderful vet Louisa and I are both confident that with sensible management his leg will cause him no issues in the future (I have a bit of a queue building up of people down here who want him!). It's funny how things happen really as after he was born I asked myself a number of times if selling him was something I really wanted to do because he is just so gorgeous in so many ways and so perfect for a future pleasure horse for me. He's still growing like a weed, although sending him to the other end of the country and back so soon after weaning did knock him for six but he has bounced back nicely and is looking (and feeling, judging by the paddock laps and handstands) very well. Next adventure for this little guy will be gelding in the spring. Poor baby. 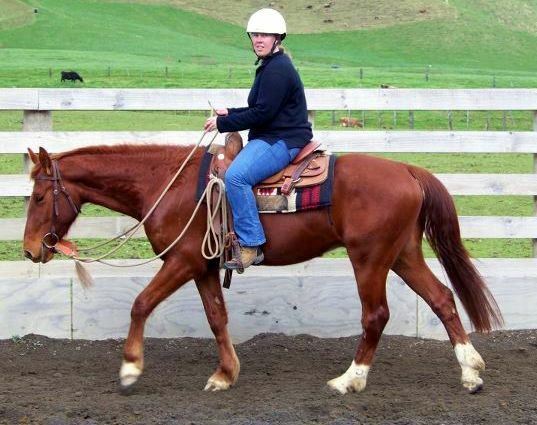 Meg has been turned out but I am hoping to start riding her again soon. The days are slowly getting longer and spring, I am reliably assured, is on its way. I have also nearly managed to save enough money to buy my new camera lens and am trying to decide if I buy it now or wait until I have saved enough for the lens AND the new body. Decisions! Brennan will be coming back into work soon too - I will probably just start lunging him as soon as it dries out enough for us both not to fall over! Karen's adorable baby (named Holly), who was born at only 30 weeks gestation has come home and I think Karen is keen to get back on board as soon as possible but this is still going to be a wee way off so, in the meantime I will have a bit of a play with him. All going well, Brennan will be presented for inspection later this month. 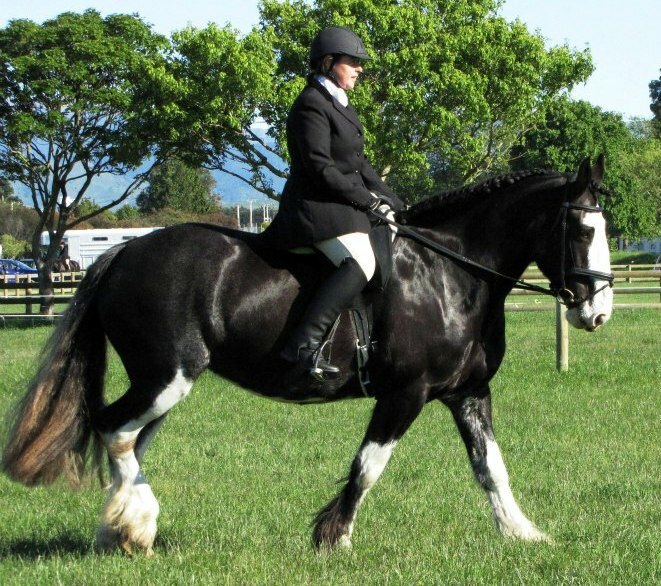 We have had him vetted (he passed, of course) so now three of the Society's inspectors just need to run their eyes over him and determine whether he is eligible to be a Class 1 breeding Connemara stallion. Finger's crossed! I'll keep you all posted, I promise.